If you love meatloaf like we do, you probably didn’t think it could get any better than in it’s original form. 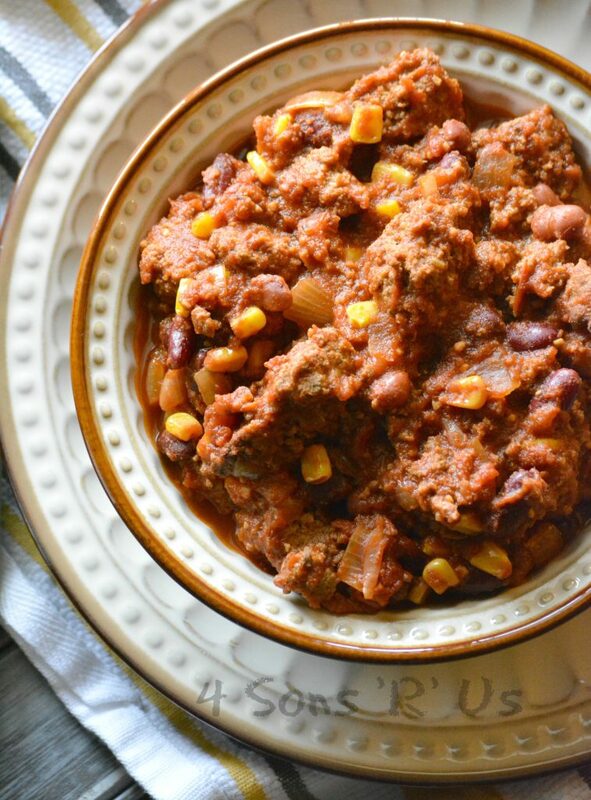 Let me introduce you to this Chipotle Sweet Corn Leftover Meatloaf Chili. Skip the next-day sandwiches and save your next leftovers for something truly spectacular. 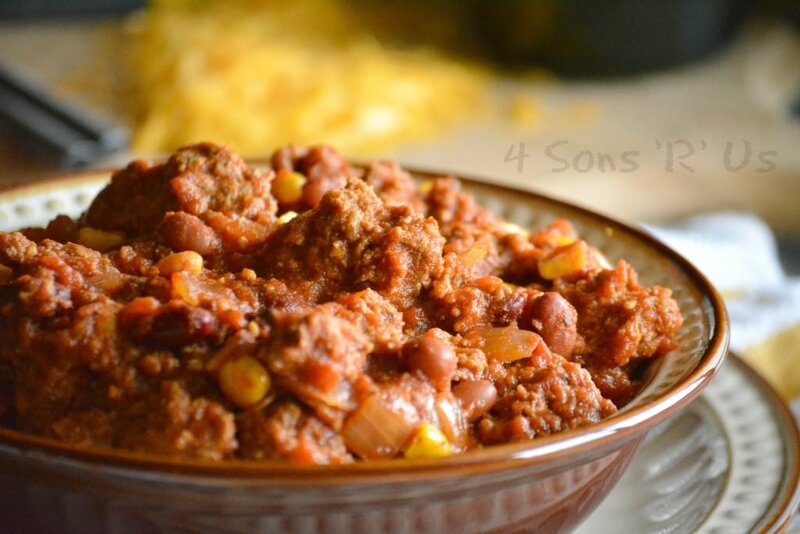 Throw them into a big ol’ pot of chili for a hearty meal that’s easy enough on a busy weeknight, and also perfect for serving a hungry crown on Game Day. So the Holidays have since and gone, We’re enjoying the last few days of Winter break before the kids head back to school. Weirdly, their first day back to school is the New Years Day ‘holiday’ this year. I’m off, the hubs is off– it’s a Federal holiday, A lot of my Mommy friends are lamenting how unfair it is, and announcing that they’ll be keeping their kids home that day. Ha. Not me! My boys have had 2 1/2 weeks off to laze and lounge around, bicker, run, argue some more, and generally avoid anything mentally stimulating, They’ll be at the bus stop bright and early Monday morning, and missing the ball drop won’t kill them. I’m looking forward to a ‘me’ day, or an ‘us’ day since the Hubs is also off. That like never happens. Besides, the kids have another big night to look forward to soon enough. Not just Sunday football, but the big one. The BIG game. And we go all out. Tail-gating, schmail-gating. Everyone goes through the buffet line on our dinner table that’s packed with food I’ve been cooking all day. Then we throw an old army blanket down on the living room floor and enjoy our eats while we argue over plays and hope for our favored team to win. It’s a tradition we all love and look forward to each year. The kids enjoy the game, but we all really know they’re there for the food, lol. Another thing that’s become an essential part of our football tradition? A big ol’ piping hot pot of chili. Again, it’s a game day grub must-have. There’s nothing better than a bowl full of chili that serves up a sweet heat, and incorporates leftovers from one of our favorite family meals. 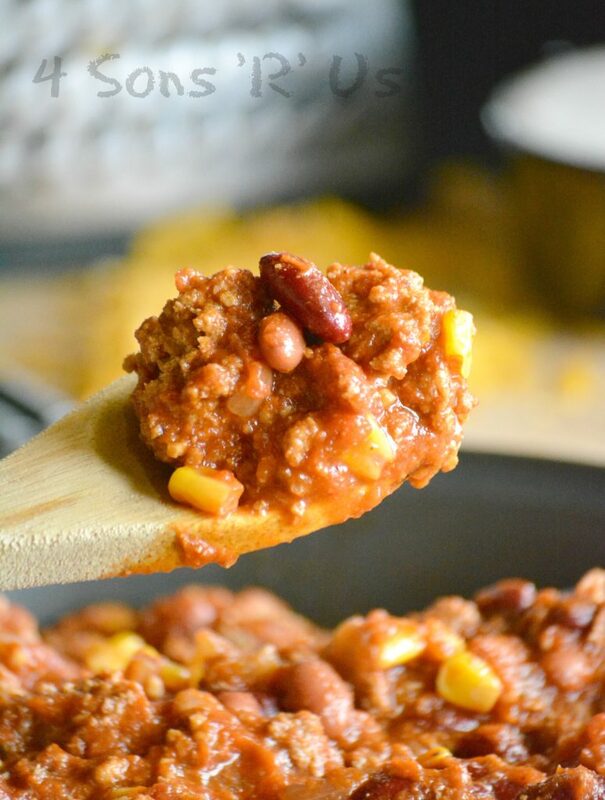 This easy Chipotle Sweet Corn Leftover Meatloaf Chili takes something as simple as leftovers and upgrades them into something simple, yet indulgent for dinner or even something hearty enough for a crowd on Game Day. Make your meatloaf, skip sandwiches the next day, and save it for a recipe that’s really special. 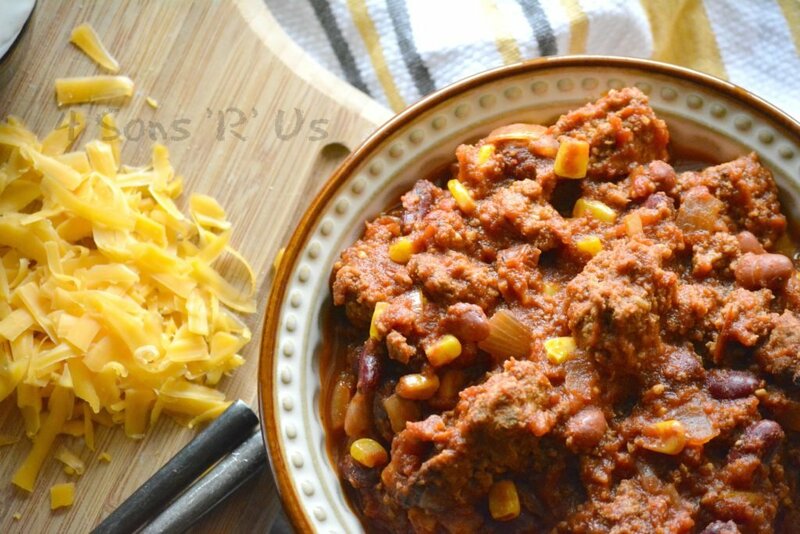 Sweet corn, smoky chipotle seasoning, and chunks of your favorite leftover meatloaf combine with traditional ingredients for a chili that will really ‘bowl’ you over. Didn't think meatloaf could get any better? 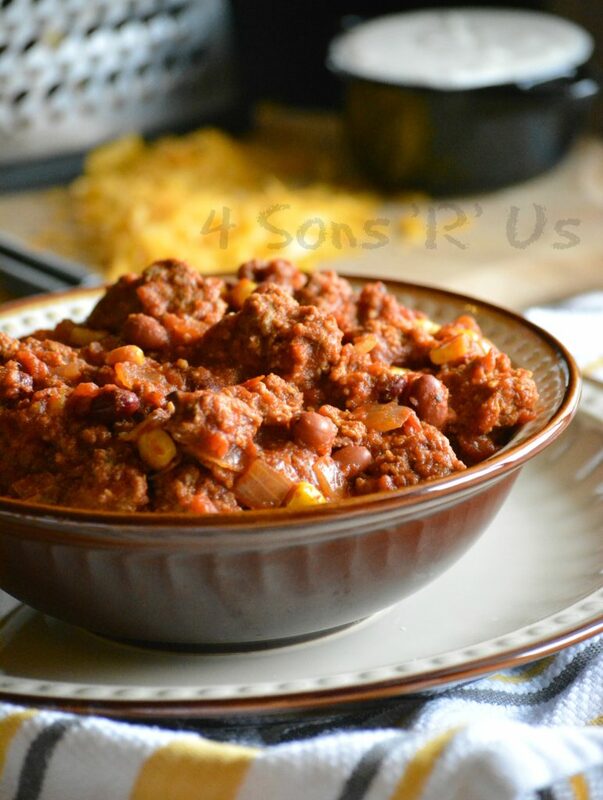 Add your leftovers to a yummy pot of a sweet heat chili for a simple dish that's BIG on flavor. In a dutch oven, or other large soup pot, heat the olive oil over medium heat. Stir in the onion and garlic, and stirring occasionally cook for a few minutes, just until the onions soften without allowing the garlic to burn. Stir in the tomato sauce, kidney beans, crushed tomatoes, bell pepper, sweet corn, cumin, chili powder, brown sugar, chipotle powder until the mixture's evenly incorporated. Salt and pepper, to taste. Simmer gently, stirring occasionally, over medium low heat for 30-45 minutes. Stir in the chopped, leftover meatloaf. Let it simmer, stirring occasionally, for another 10 minutes. Remove the chili from heat. Ladle into bowls and serve hot-warm, whichever your desired preference. We love ours topped with shredded cheddar and a dollop of sour cream. This also pairs well with tortilla chips and guacamole.